The 6s: If at first you don’t succeed, you learn. One of the most important aspects of experiential learning is learning from one’s mistakes. Allowing a child to pursue a flawed plan because it makes sense to him or her is an essential element in nurturing the innovative mind. Success is often preceded by failure. When children are allowed to blaze their own paths, make their own miscalculations, reformulate their ideas and try again… and again, they form an emotional connection to their learning. The stakes are real and the rewards are genuine. The block program provides the foundation for social studies in the 6s. The 6s are developing an understanding of themselves and the world around them through their work in the blocks. There is a planning discussion each Monday. Throughout the week there are further discussions either as a whole group or in smaller groups as needs arise. The 6s are usually expected to work with a partner and build a single, reality-based building for a week or longer. Other times, the whole Group works together on a specific block scheme. They are working towards a scaled, representational construction that reflects their growing store of knowledge. In addition, because each individual building is part of the greater block city, children are expected to work together toward a common end, resolve conflicts, make compromises and recognize each other's needs and abilities. The subject of study in the 6s includes the neighborhood and, over the course of the year, the larger community. Research skills are developed through trips, use of the Library and general inquiry. The 6s take many trips in order to further their studies, including research on the subjects of transportation and the many businesses and jobs found in New York City. Because City and Country is located in close proximity to the Hudson River, the 6s’ neighborhood study often culminates naturally with a study of the Hudson River, and its role in city life. Children delve into scientific aspects of the river, such as where it begins and ends, what a river is, and the plant and animal life found in the river. The social studies curriculum integrates many other aspects of the program as well. Math, geography, language arts, science, woodworking, art and Rhythms work are natural outcomes of block work and the city curriculum. Paint, Clay and Paper: 6s use all six colors (red, yellow, blue, white, black and turquoise) to paint both in a representational and an abstract style. In the 6s, children are also introduced to mural painting. Here the expectation is to work together toward a common end in a painting. Often the murals reflect a social studies theme, thereby enriching the Group’s studies; they give the Group a chance to explore different ideas with a cooperative goal in mind. The 6s also work with the Art teacher in the Art room on a regular basis. Clay is a tactile, creative experience for the 6s. The children use the material to make representational objects as well as to engage in dramatic play. In addition to using their hands to manipulate the clay, the children use clay sticks as tools to cut or form details. During their time in the Art room, children are given opportunities to use additional clay tools, and to fire their work in the kiln. 6s use paper as another form of creative expression. They have time to draw at different points in the school day, and over time their drawings become increasingly representational and detailed. They may use crayons, colored pencils, pencils and oil pastels. Paper may also be used for details for block work. As the children develop increased fine motor control, this medium becomes more accessible and satisfying to them, allowing for exacting and elaborate additions to their social studies work. Through the meetings and cooperative learning situations that are a natural part of each school day, children are consistently expected to express their thinking and listen and respond to others. The 6s math program is a mixture of group work, hands-on activities, paper and pencil work and concept-building games. Teachers draw upon a variety of resources, including many teacher-made games and activities, as well as the TERC Math Program. Much of the math in the 6s is embedded in the children’s daily work. Therefore, the children are able to appreciate math as a natural and practical part of everyday life. The goal is for children to use concrete materials to build their abstract thinking. 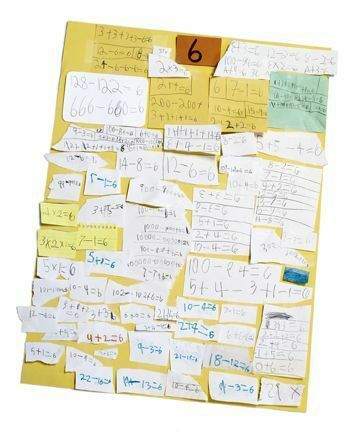 In this way, the children can become confident, flexible mathematical thinkers, rather than rote learners. The curriculum provides multiple opportunities for children to strengthen the skills of problem solving, number concept, counting, patterning, estimation, non-standard measurement, calendar work, sorting and classifying, sequencing, data collection (graphing), basic addition and subtraction, place value and grouping and counting by tens. Beyond rote learning: 6s discover that there are limitless ways to express the number six. 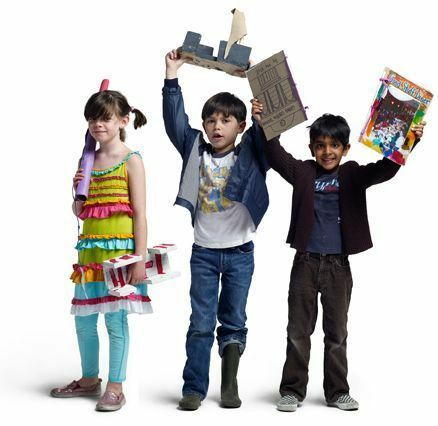 In the 6s children expand their scientific observations and explorations both in the spontaineity of their day-to-day school experience, and in connection with social studies. Spontaneous examples may include children noticing the rise and fall in temperatures in the Block Yard and their investigations into what is happening to the thermometer and why. As the 6s program moves into the study of the Hudson River this is a very clear example of how children are drawn into an integrated experience of prediction, hypothesis and drawing conclusions as they explore the properties of water and the life forms existing in the River. The 6s Yard program includes a combination of building activities, running games, physical skills work and use of the climbing equipment. Unlike traditional outdoor play environments that have solely jungle gyms and climbers, children in City and Country’s Lower School work to build their own play structures. Building with the yard materials (large and small boxes, blocks, boards and sawhorses) develops strength, coordination, balance and self-esteem. Building also offers opportunities for physical and mental problem-solving. The group work associated with building requires social negotiations, sharing of materials and dramatic play. The children work as a group to pick up and put away the yard materials at the end of each building period. Children also have the opportunity to hone additional physical skills on the climber and slide. The running games that are a part of the 6s program also develop the children’s physical and mental well-being. Children learn to run and tag skillfully and safely. They also learn to play fairly, take turns and be a good sport. Children in the 6s also practice physical skills such as running, tagging, dodging, throwing and catching. These skills are drilled through games, relays and other skills-based group activities.